This piece is inspired by the original Stanford Marshmallow experiments, where children were placed at a desk and told that they could eat the treat in front of them immediately, or if they were willing to wait until the attendant returned they would be rewarded with an additional marshmallow. 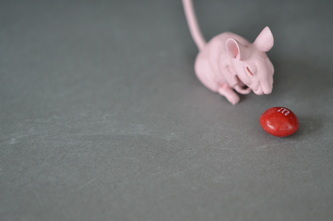 The experiments were in an effort to understand the development of self-control behavior. 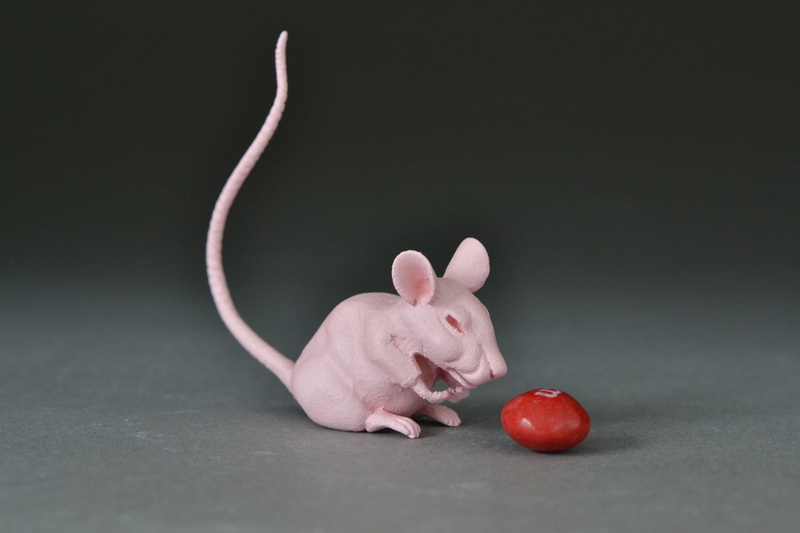 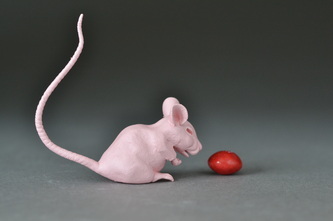 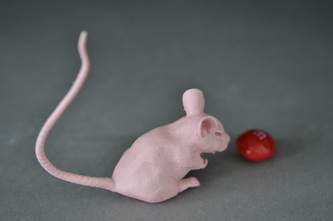 This mouse was created as part of the Tiny Favors exhibition at the Clay Studio, where all works were displayed inside of 3"x3"x3" plexiglass cubes.